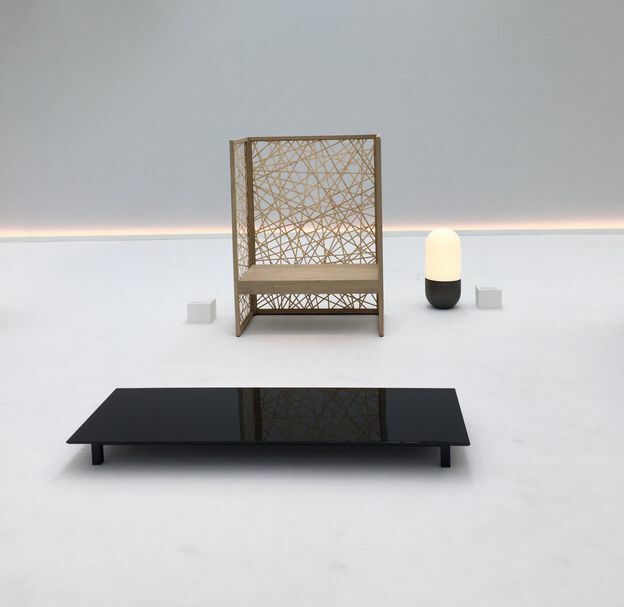 One of the most rarefied design experiences, “Wander From Within,” took place at the Villa Necchi Campiglio, where a pavilion was erected over the tennis court to introduce a collection of handmade furniture, a product of a collaboration between art entrepreneur and tastemaker Adrian Cheng and the late master designer Shigeru Uchida. The collection of three chairs, a table, and a lamp was designed to encourage meditation and defy spatial definitions. At lunch I also learned from Adrian that he has a passion for colored diamonds, and it had just been announced that his family's jewelry company had purchased the most expensive stone sold at auction.